Google the arch sharer of everyone else's intellectual property is not so keen to share its own ideas as a patent of its home page was approved on 1st of September. 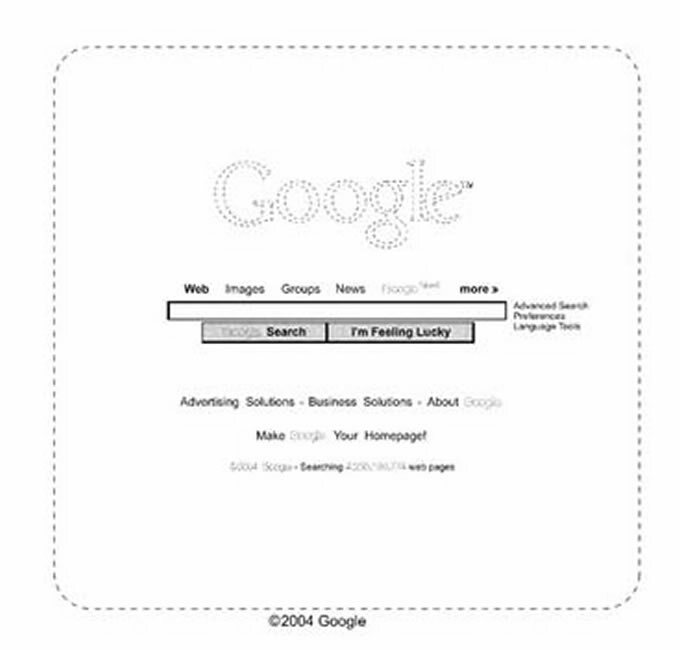 The patent filed 5 years ago specifically covers the 2004 home page layout. CLAIM The ornamental design for a graphical user interface for a display screen of a communications terminal, as shown and described. A portion of the disclosure of this patent document contains material to which a claim for copyright and trademark is made. The copyright and trademark owner has no objection to the reproduction of the patent document or the patent disclosure, as it appears in the U.S. Patent Office records, but reserves all other copyright and trademark rights whatsoever. The single view is a front view of a graphical user interface for a display screen of a communications terminal. The broken line of the display screen and the broken line showing of certain words and numbers in the drawing are for illustrative purposes only and form no part of the claimed design. Though I do not see how google can enforce this patent as many other search engines with a similar design such as yahoo, excite and alta vista predate google by many years. Another point of contention is that patents can only be applied within 1 year of an invention going public i.e. "By law, a patent application must be filed within one year of the date your invention is first publicly disclosed." Whereas google has been using the design since 1999 and only applied for the patent in 2004. Perhaps it is a case of company awash with surplus cash looking at ways of spending it?